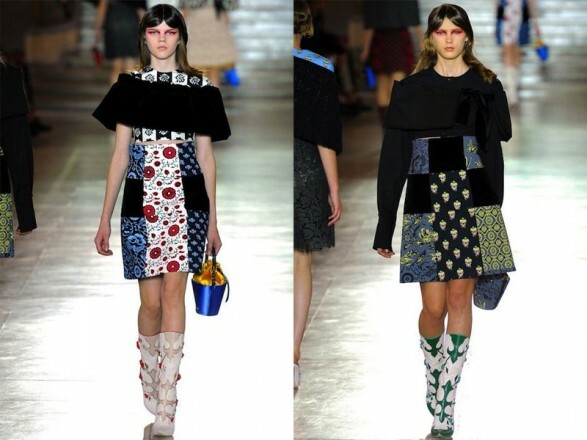 Horrified I have the Miu Miu parade and not because we cannot take divine garments, worked and most wearable, no. The blame for my increasing horror moments is boots that have been presented in his collection Spring-Summer 2012. I cannot imagine anyone with a little head and enjoys taking them, and surely one will dare, but not carrying the label must be carried more. It more what are the most frightening yet seen. But leaving aside these incident coats, skirts and brocade dress deserved special mention. It is true that we have seen in collections such as Dolce & GabbanaBut its straight lines and style ladylike will provide everything you need for an outfit 10.